Dr. Greenfield writes in his introduction, "My purpose in writing this book is to document my experiences hunting birds, specifically eastern Bobwhite quail (Colinus virginianus), over a span of sixty years. In this quest I have walked and/or ridden tens of thousands of miles and have seen the changes that have occurred in bird hunting—none of them for the best. The sport has been transformed from a fairly ubiquitous pastime available to almost everyone to the current situation where hunting wild quail is either essentially nonexistent or extraordinarily expensive. Throughout this time I've occasionally strayed from the role of single-species bird hunter to hunting other game. . . . The reader will soon determine that, as a bird hunter, I appear to be self-assured, opinionated, and intolerant of the approaches taken by others. All true! Still, I don't claim to know everything about bird hunting—not by a long shot—but I have had a wide and varied set of experiences, and I've gained a modicum of understanding about the sport." Come along with Joe as he relives his many cherished hours spent afield and describes the many facets of quail hunting. As he says, "Everything described contains at least a grain of truth, though I confess that nothing has lost any fat in the telling!" 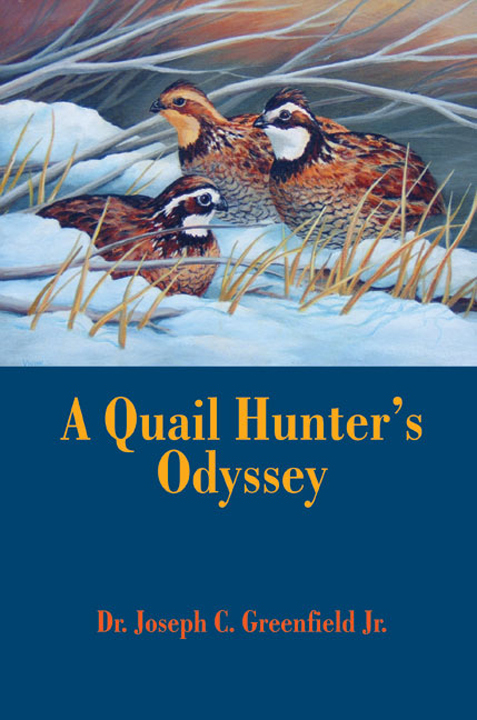 Submit your review for "A Quail Hunter's Odyssey"